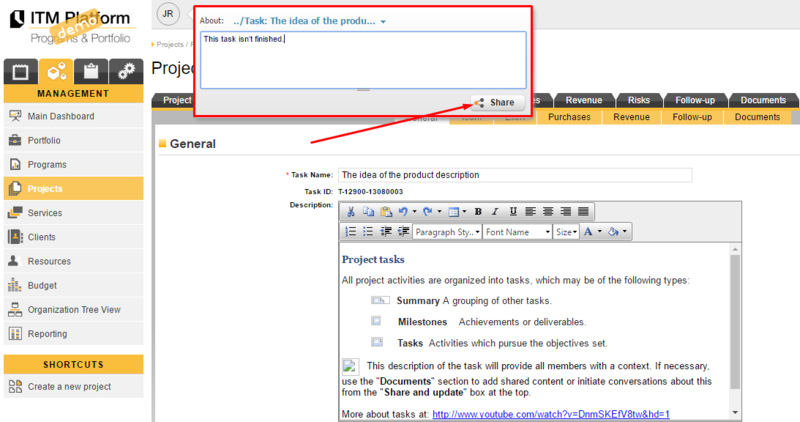 How can I comment on entities like tasks or docs? 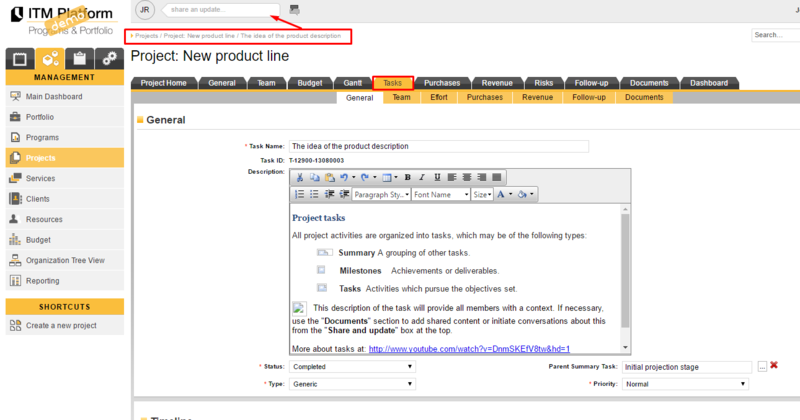 To comment an item on ITM Platform you only need to go to the document, project or task you want to comment and write your comment on the dialogue box. 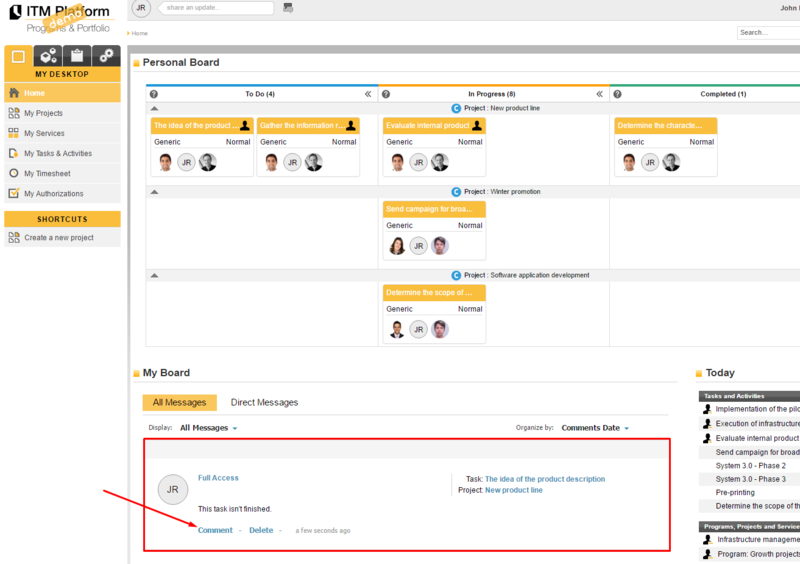 In this case, we will comment a task, where all task members are able to see this comment. This update will appear both on Project’s home as well as on My Desktop to other users, where they can reply to it. All members will also receive the commentary alert on their email.